We, hailing from Delhi, are the agile Manufacturer, Importer, Exporter and Supplier of the best array of Semi Automatic Biochemistry Analyzers in the country and overseas. The offered Semi Automatic Biochemistry Analyzers are built using the latest technology and certified quality materials to ensure the compliant quality, flawless performance and durable life. Also, we satiate the divergent demands by offering these Semi Automatic Biochemistry Analyzers in tailored specifications. 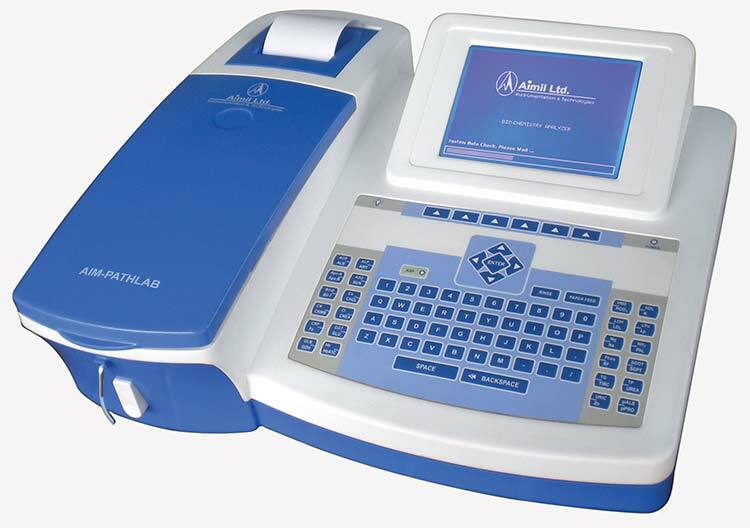 Aimil Semi- Automatic Biochemistry Analyzer is a compact, simple, reliable semiautomated analyzer capable to perform tests on whole blood, serum, plasma, cerebrospinal fluid or urine samples for determination of concentration of analytes of Routine Biochemistry, Electrolytes, Enzyme etc.